As more and more young parents decide to raise their children in a condo, the demand for family-friendly amenities increases. Mattamy recognized this with the design of the amenities at Saturday in Downsview Park. The residence offers space where you can have fun, socialize, exercise, and relax. 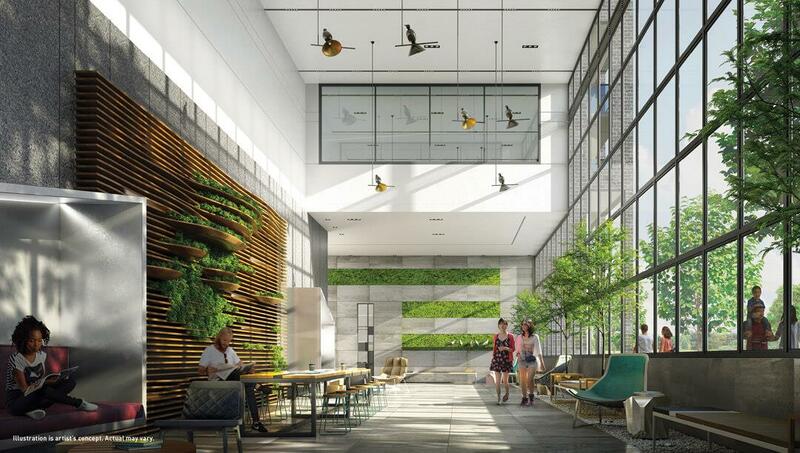 The two-storey lobby features “holistic forms and textures,” seemingly inspired by the park next door, and beautiful soaring windows. The amount of greenery in the lobby, the soaring windows, and combination of sleek surfaces and more organic lines really make the lobby a welcoming space. 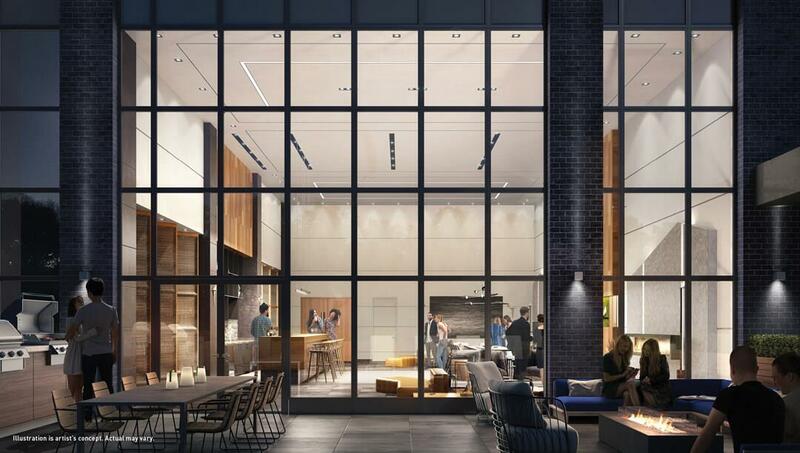 The lobby also features study niches, a co-working area, a rock garden, a communal bar, and a 24/7 concierge. 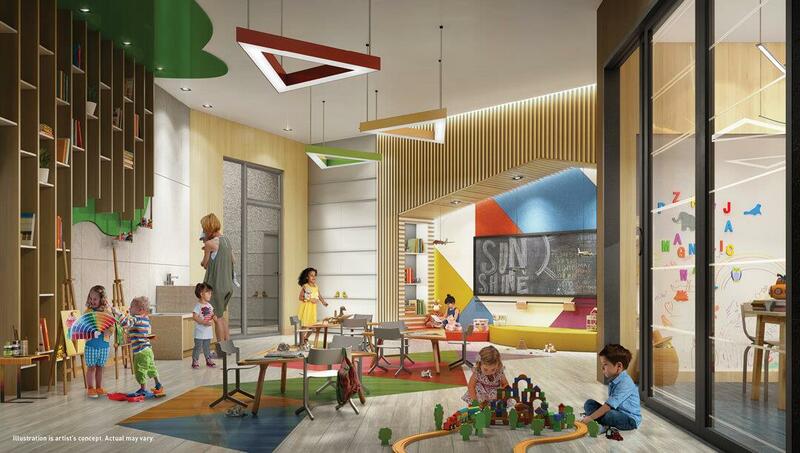 Parents will be happy to hear there is a well-equipped kids’ play room with arts and crafts stations, a chalkboard, and interactive tables. The geometric room design is a fun play on contemporary styling and the simple, colourful shapes children love. There is also a private party room in the kids’ area, which is ideal for hosting birthday parties or any other special event. If you plan on hosting a larger get-together or even a more intimate gathering, the multi-purpose space features a grand kitchen, a bar, dining area, lounge area, and an outdoor patio with barbecues. Again, we see the soaring warehouse style windows make an appearance, which will surely impress your guests. 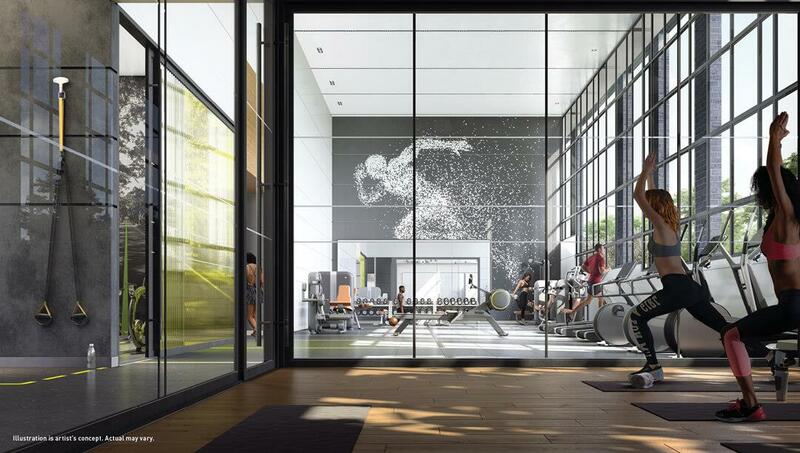 Once you’re living at Saturday in Downsview Park, you can cancel your gym membership because the fitness zone has everything you need. Whether you’re practising yoga, boxing, cardio training, spinning, or perfecting your TRX form, the fitness zone accommodates. Dog ownership in condos is also on the rise, so Mattamy included a convenient dog wash area at Saturday in Downsview Park. You can easily spend the day playing with your dog in the park, and then give them a quick wash down so they don’t track any dirt into your home. And we can’t forget about Downsview Park being literally steps away. You can partake in a variety of sports, plan a picnic, or go for a jog or bike ride on the four-kilometre circuit path. Many community events are also hosted in the park, so you’ll be where all the action is. 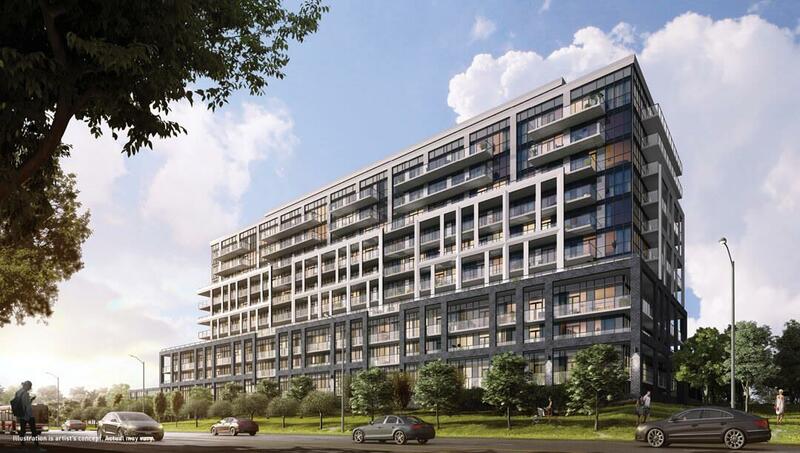 The first building at Saturday in Downsview Park features 240 suites, including one-bedrooms, one-bedroom+dens, two-bedrooms, and two-bedroom+dens, starting from 548 square feet. If you want to be among the first to receive updates about the opening, register right now! Prices start from the low $400,000s.